Please enter the states or country for ornament. 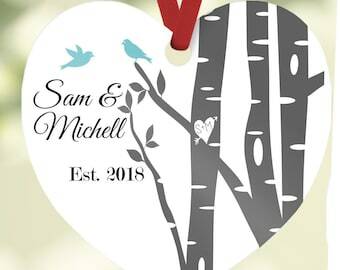 Please give us the 2 names for ornament. Friends - Sisters - Best Friends - Soul Sisters - Family Love knows No distance.. Yes we can do ALL 50 states and countries too! This Round Aluminum Ornament includes a red ribbon. Ornament measures 2.75" x .015" thick. Ornaments are all about the fun factor! They are the perfect customization gift. 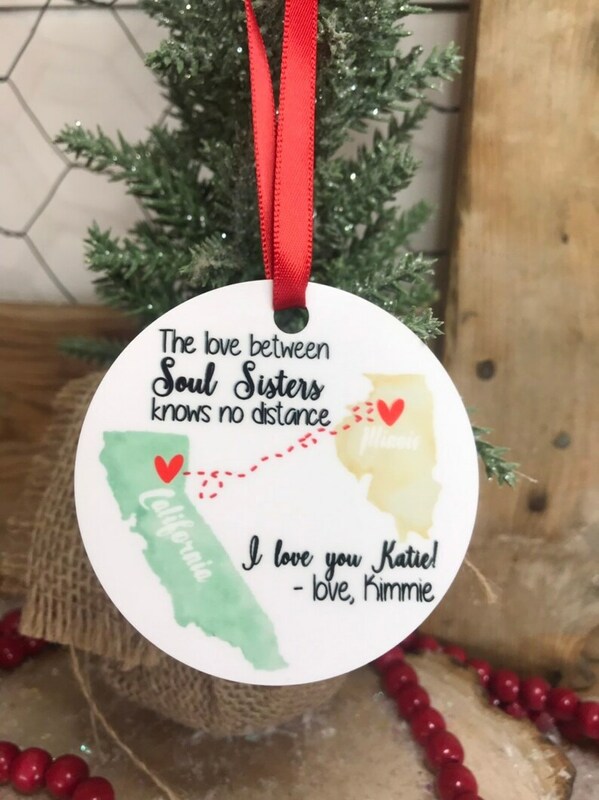 Perfect for friends far away for their Christmas tree! Please allow 2-4 days for production. Ships via 2-3 day priority mail.